Contact Us today for consultation and quotation! Check Out this video below for new Cisco SX10 Conference system! Cisco SX10, Advanced yet Simplified Video Conferencing System from Cisco, simple setup (plug and play) allowing setting in wherever user wants, user-friendly interface for simple and easy maneuver. 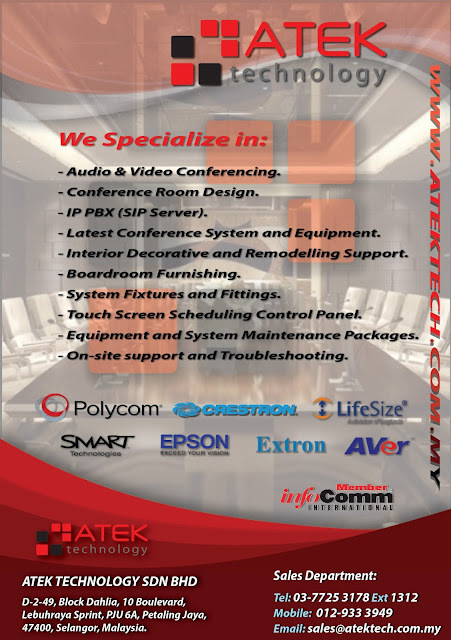 For more Conference room solution, contact ATEK Technology Sdn Bhd for One-Stop Conference need solutions. 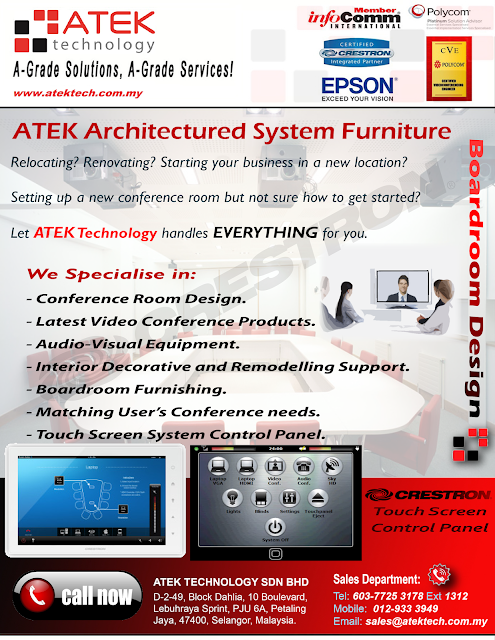 Contact our UC professional at +603-7725 3178 (Malaysia) or mail us: sales@atektech.com.my Today! *Alternatively, fill up a simple Enquiry Form to reach us! 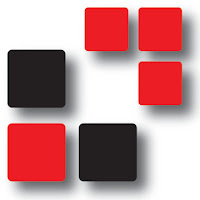 Like us on Facebook at: https://www.facebook.com/AtekTechnology for more updates!!! We provide wide range of Conference Phones, contact us today to find out which model suits you best! 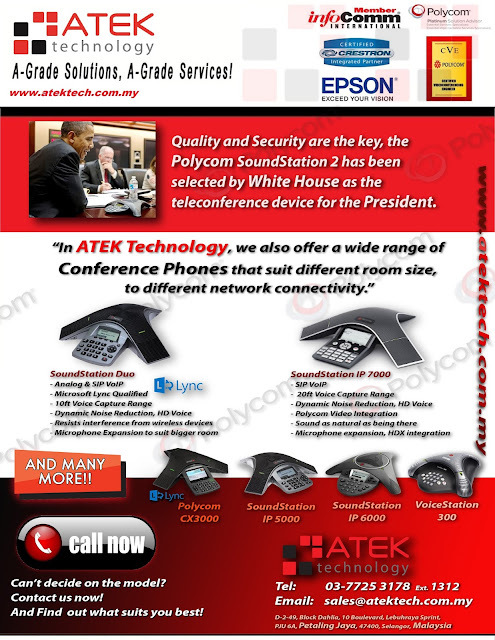 ATEK Technology, One-Stop Conference Solution Provider. Engineer support and after sales Maintenance Service. We also take room environment into consideration to fully optimize the best conference room experience for customers, providing the most suitable solution to achieve customer’s requirement, at the same time reducing customers’ cost.